While most Muslims fly, drive or sail from across the world to perform the hajj in Makkah, a Pakistani man made the trip in a far more traditional manner; travelling on foot from Pakistan to Islam’s holiest city in Saudi Arabia. He arrived in Makkah on Oct. 1 to a hero’s welcome. Kasrat Rai was received by Saudi government officials and a representative of the holy Ka’aba’s imam in addition to members of Makkah’s Pakistani community and supporters from various Muslim countries. The two-time holder of the World Record for Peace Walks told Al Arabiya News that the aim behind his almost three-month journey was to deliver a “message of peace” to the world and to “condemn terrorism at all levels. “I want peace in the world, equality, and a union of the Muslim Ummah like the European Union,” he said. 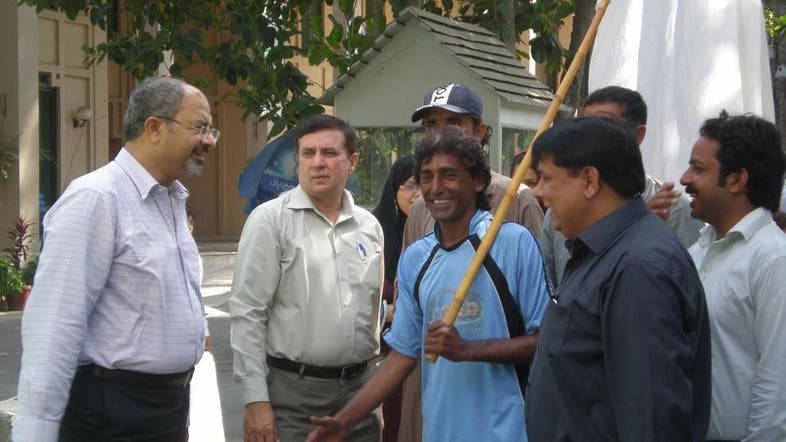 In 2007, he walked 1,999 kilometers (1,242 miles) between Khyber and Karachi in Pakistan, a journey he completed in 85 days. In 2009, he walked 327 kilometers (203 miles) from Lahore to Islamabad in 14 days and another 222 kilometers (138 miles) from Islamabad to the Pakistani village of Chakuthi in nine days. In 2011, he repeated the trip between Khyber and Karachi but walked a further distance. 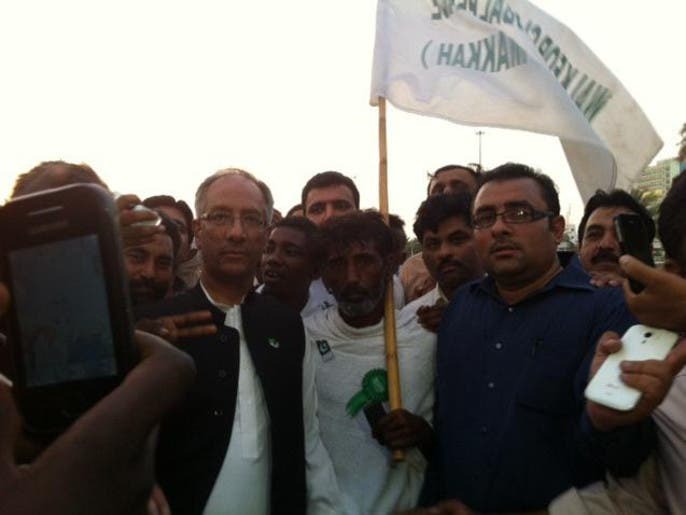 He broke his previous record by walking 2,287 kilometers (1,421 miles) in 72 days. Kasrat Rai told Al Arabiya News that although he faced unexpected “problems” during his latest journey to Makkah, which he described as “risky,” he still felt secure and was able to arrive in the city safe and sound. He said that the people he encountered along the way were “friendly” and gave him support., adding that in Makkah he was provided with accommodation. Kasrat Rai explained that he was preparing to begin the journey to Mina, roughly eight kilometers (five miles) away from Makkah, as per the rituals of hajj, which officially starts on Sunday. Saudi Arabia announced that more than 1.3 million people will be performing this year’s hajj, with more than half of them coming from outside Saudi Arabia. For Muslims, hajj is the fifth and final pillar of Islam. It takes place in the month of Dhul Hijjah which is the 12th month of the Islamic lunar calendar. 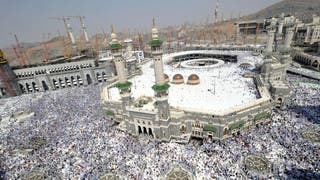 The pilgrimage is obligatory for all Muslims once in their lifetime. However, it is only compulsory for those who have the physical and financial means to perform the pilgrimage. During the religious event, those Muslims who make the journey are required to spend five days in the desert surrounding the city of Makkah in modern-day Saudi Arabia. They travel between specified points to perform rites laid down in Islam’s holy book, the Quran. These rites commemorate the life of Prophet Ibrahim, or Abraham who built Islam’s most revered structure, the Ka’aba, with his son Ismail.